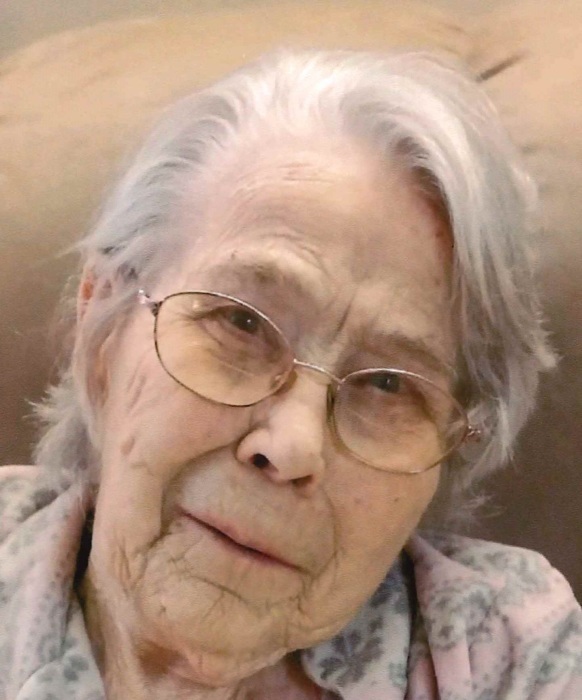 Marjorie Elnora Hoyt, 94, of Red Oak, IA and formerly of Essex, IA passed away on Monday, March 18, 2019 at Red Oak Rehab and Care Center in Red Oak. A graveside funeral service will be held on Friday, March 22, 2019 at 1:00 PM at the Quincy (Oakland) Cemetery near Carbon, Iowa in Quincy Township. The family will greet relatives and friends with visitation and viewing from 10:30 AM to 11:30 AM Friday at the funeral home prior to leaving for graveside. Memorials in Marjorie's name are being directed to the family. Marjorie Elnora (Thompson) Hoyt, daughter of Edward and Clara (Anderson) Thompson, was born on January 12, 1925 at her parents’ home near Carbon, Iowa. She entered into eternal rest on Monday, March 18, 2019 at Red Oak Rehab and Care Center in Red Oak, Iowa at the age of 94 years, 3 months, 6 days. Her early years were spent growing up in the Carbon area and received her education in the Carbon School District. On August 19, 1944, Marjorie was united in marriage to Harvey J. Hoyt at Corning, Iowa. To this union four sons, Harvey, Jr, Richard, Howard and Michael were born. Over the years, Marjorie made several towns in southwest Iowa her home. They included Brooks, Malvern, Shenandoah, Essex and lastly, Red Oak. When the boys were big enough, Marjorie went to work in Glenwood in 1965 at the dry cleaners. From 1966 until her retirement in 1987, She worked at Mount Arbor Nursery in Shenandoah. In her spare time, Marjorie enjoyed fishing, doing plastic canvas cross stitch, working on puzzles, playing games, reading and just sitting outside enjoying the birds and squirrels. She loved cooking Sunday dinners and a good game of cards with family. She never asked for anything, but was always there when you needed her. To the very end, she loved playing Sorry at the nursing home with family and especially loved taking Mike off the board even if he was losing, saying to the others playing, “get him-get him”. She was a loving person and will be missed by all that knew her. Preceding Marjorie in death were her parents; four brothers, Bill, Fritz, Don and Joe Thompson; sister, Darlene Rupp; infant son, Lloyd Thompson; son, Richard Hoyt; great grandson, Travis Hoyt; and daughter-in-law, Maggie Hoyt. Left to cherish her memory are her three sons, Harvey J. Hoyt, Jr, of Red Oak, IA, Howard D. Hoyt of Shenandoah, IA and Michael E. Hoyt and wife Trudy of Glenwood, IA; 96 year old sister, Ellen Rasnic of Festus, MO; 13 grandchildren; 37 great grandchildren; and 12 great-great grandchildren; numerous nieces and nephews; other relatives and friends.